Brooding is a natural instinct that many chickens have to set on their next and hatch a clutch of eggs. It is an overwhelming desire to sit on the clutch, incubate the eggs, hatch them and mother a brood of chicks. Some breeds are more prone to it than others and for those looking to keep egg production up it can be a bit frustrating. Why is my hen brooding and how can I tell when she’ll start again? It’s difficult to tell when a hen may become broody, though generally if a hen is going to start they will be more prone to it in the spring months and with hens that are about two years old. Hens are also more prone to brooding if eggs aren’t collected regularly (read everyday). 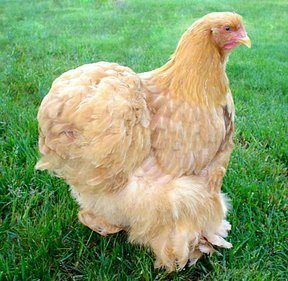 There are some breeds of chickens that have had broodiness bred out of them. Because brooding is the desire to hatch a clutch of eggs, the broody hen can become quite temperamental and even peck a hand trying to retrieve eggs that are being set on. They will sit on the nest for weeks, though 21 days is all that is necessary and egg production will cease. Unfertilized eggs will never hatch and if they are not retrieved will simply spoil and you’ll have lost a whole clutch of eggs. Note: If a hen has not been mated to a rooster ALL eggs are unfertilized. 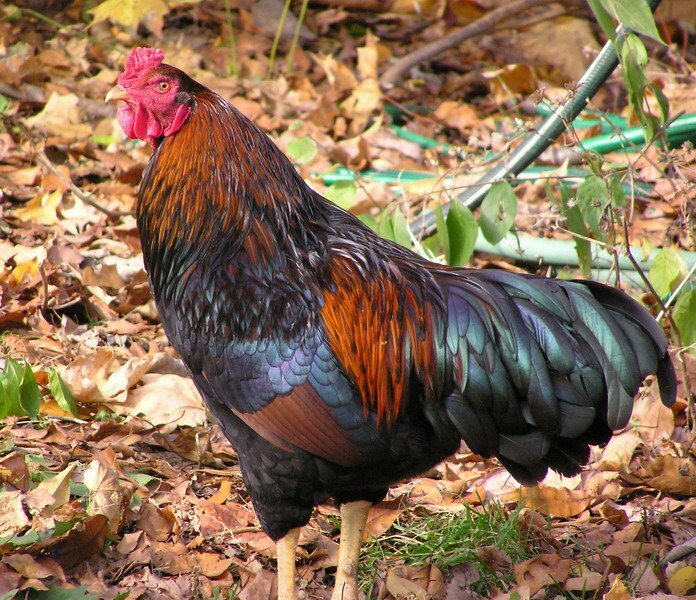 Eggs will only hatch if they have been fertilized which requires a rooster. A hen will lay eggs every day regardless of the presence of a rooster. 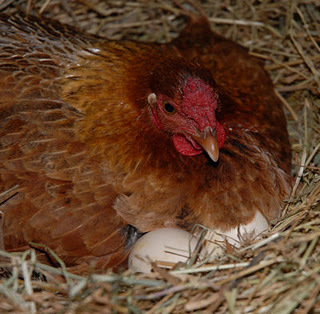 Brooding for the long term can be detrimental for your hen. They will neglect their own needs, such as food and water. They become vulnerable to parasites as they are not remaining clean. It can also be upsetting for your other birds as one nesting box is constantly occupied by a cranky, pecking hen. Discouraging broodiness should be done as soon as noticed if you do not want to hatch chicks or know your eggs won’t hatch. Keep an eye out for any hen that wants to spend more and more time in the nesting box or hens that are getting a little cranky and pecky. Block off the nesting box and remove the eggs. If this doesn’t work, you may need to move her to a temporary box and keep her away from her normal laying places. For exceptionally stubborn hens, set them in a location that is cool. By keeping their lower areas cool you will discourage the behavior. If your hen is brooding and you want some chicks, let her do her job. Be careful, however, that the brooding mother isn’t bullied. If other chickens are forcing her away from her nest move them all, eggs and hen, to a new location late at night while the hen is sleeping. Make sure that your brooding hen leaves at least once a day to eat, drink and poo; be warned, brooder poo is particularly disgusting. You must be vigilant! Some broody hens will not take care of themselves. If you have not seen her move in 24 hours, pick her up and carry her to food and water. She may begin to look thin and anemic, but if you are keeping her parasite free and eating and drinking, then 21 days later when the chicks hatch she’ll regain a more normal routine and get back to her old self.